CHICAGO (June 19, 2017) - The U.S. Soccer Development Academy will broadcast 12 feature games, two per day across six days, during the 2017 Summer Showcase and Playoffs live on the Development Academy Facebook page and ussoccerda.com. The feature games will spotlight top Academy clubs from across the nation in the U-14, U-15/16 and U-17/18 age groups. The final two feature games, set to take place on Monday, June 26, will highlight two games from the final day of the U-15/16 and U-17/18 Academy Playoffs and will be announced on June 25. The feature games were selected based on a variety of factors, including: teams that embody Academy ideals, uphold Academy standards and philosophies, and produce quality soccer in competition leading up to the event. The final two feature games will have Knockout Round contention at stake for the final day of Playoff group play. The four known Playoff games that will be featured provide exceptionally intriguing storylines. For the U-15/16 age group, Sockers FC (Chicago, Ill.), who will face Academy powerhouse New York Red Bulls (Harrison, N.J.), enter the Playoffs with the second-best regular season record, finishing with a 2.4 points-per-game-played average. The second U-15/16 feature game will showcase Capital Area RailHawks - CASL (Raleigh, N.C.), who finished second in the Southeast Division regular season, taking on Real So Cal (Woodland Hills, Calif.) who are 8-3-4 in their last 15 games in a consistently strong Southwest Division. In the U-17/18 age group, the first feature game will see Indiana Fire (Westfield, Ind.) on their home turf against perennial power Players Development Academy (Somerset, N.J.). 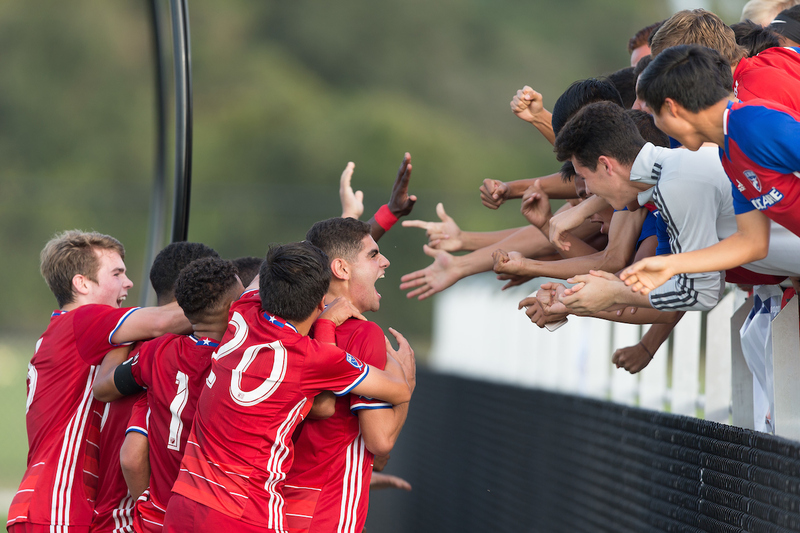 An all-MLS Academy showdown is set to take place when FC Dallas (Frisco, Texas) looks to continue their quest for back-to-back Academy Championships against U.S. Men's National Team player Jordan Morris' former Academy club, Seattle Sounders (Tukwila, Wash.). Find the entire 2017 Summer Showcase and Playoffs schedule of games and field locations here. In total, the Development Academy Summer Showcase and Playoffs will feature 309 games at Westfield Indiana's Grand Park from June 20-26. The venue is home to the Chicago Fire's affiliate Academy club, Indiana Fire, which plays all its home games at Grand Park. This complex encompasses a 400-acre Sports Campus with 32 soccer fields, 24 Kentucky Bluegrass soccer fields, seven turf fields and a championship stadium with a top class grass field. Follow all the action live on Twitter (@ussoccer_acad) and Instagram (@ussoccer_acad).